This year’s flagship HTC device, the One (M8), may have just been released, but HTC doesn’t want you to think that it has forgotten about its older devices. At the M8 announcement, HTC announced that it would be updating older devices “sometime this spring,” but we now have a better indication of when exactly that will be. 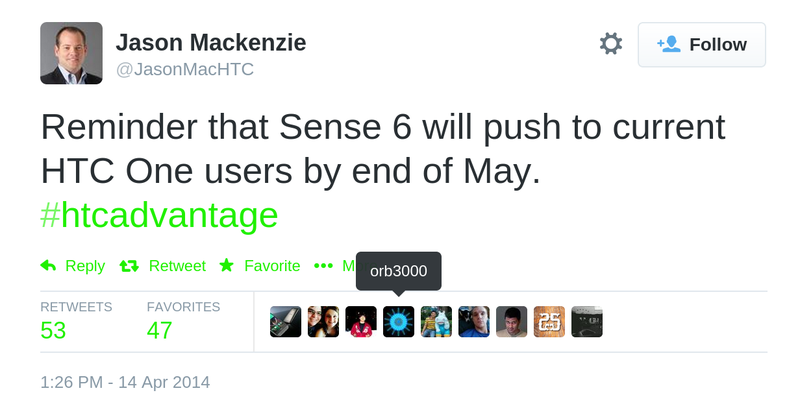 The President of HTC USA, Jason Mackenzie, took to his Twitter account today to shine a light on when we would be seeing the “sixth sense” appear on last year’s HTC One (M7). 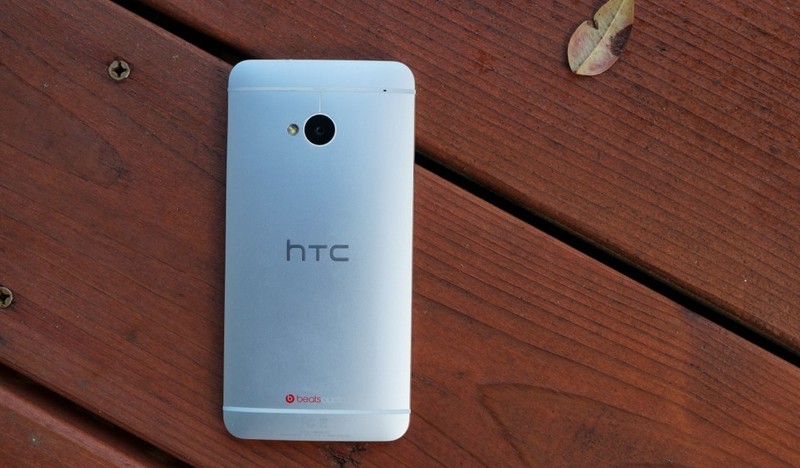 The end of May is the new date we have to expect this upgrade to roll through as a part of the HTC Advantage. Mackenzie has been known to fire shots towards Samsung in defense of his company over gimmicks and design. Maybe he should instead be happy about how much quicker his company is at updating phones than worrying about. Any One 2013 owners excited to hear about Sense 6 coming soon?